Most people think of spring as the main allergy season, but fall can be terrible too, especially with the hotter than normal temperatures much of the country is experiencing. 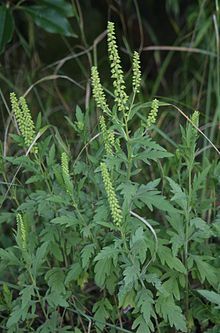 Ragweed: If possible avoid being outdoors from 5am-10am on hot, dry windy days. If you must be outside, wear a mask. Don’t worry they are very stylish – more so than a runny nose and red, irritated eyes anyway! The ragweed count in the air is highest at this time. No ragweed in your area? Beware – it can travel up to 400 miles through the air from the location of the actual plant. 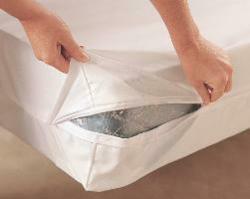 Dust Mites: Wash your sheets! I know your mom has told you this many times, but really, it could actually improve your daily well-being. Remove and/or clean anything that just sits there: stuffed animals (I know they have sentimental value…), artwork, curtains, carpet, etc and definitely get some dust mite covers. These are low-cost and worth it. Mold: Guess what? Mold spores all over fallen leaves. 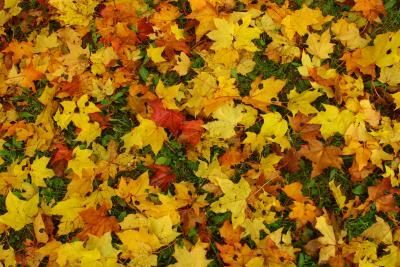 If you have leaves in your yard, you or your family may be suffering. This is especially common for kids who love to play in the leaves. As pretty as these fall leaves are, they can cause allergic reactions! If you’re not sure if you have a cold or allergies, it would be wise to consider getting tested. You can get tested at your doctor’s office or you can order a simple allergy test at home. This entry was posted in Allergy Solutions, Dust Mite, Fall Allergies, ImmuneTech, Mold, Ragweed and tagged allergy prevention, dust mites, fall allergies, Mold, outdoors, Ragweed on October 2, 2012 by atindal3.